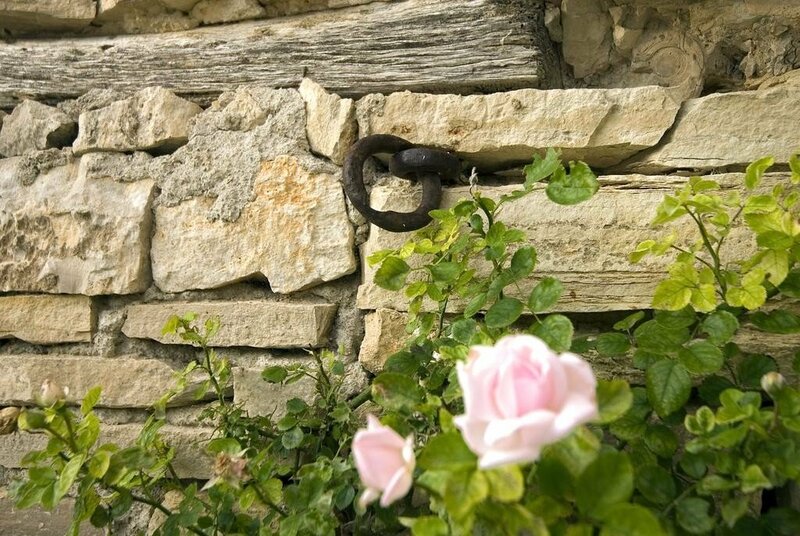 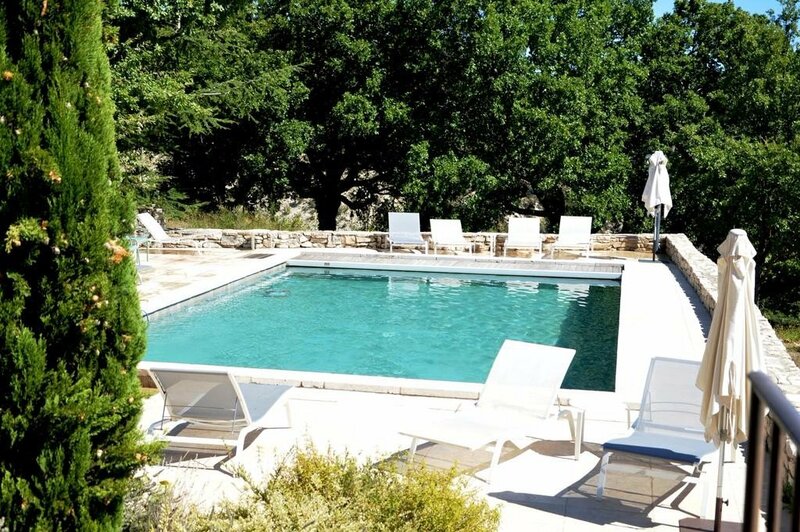 A little piece of paradise in Provence; Le Hameau de Pichovet gîte is the ultimate place to experience the beauty and tranquility of this iconic region of France. 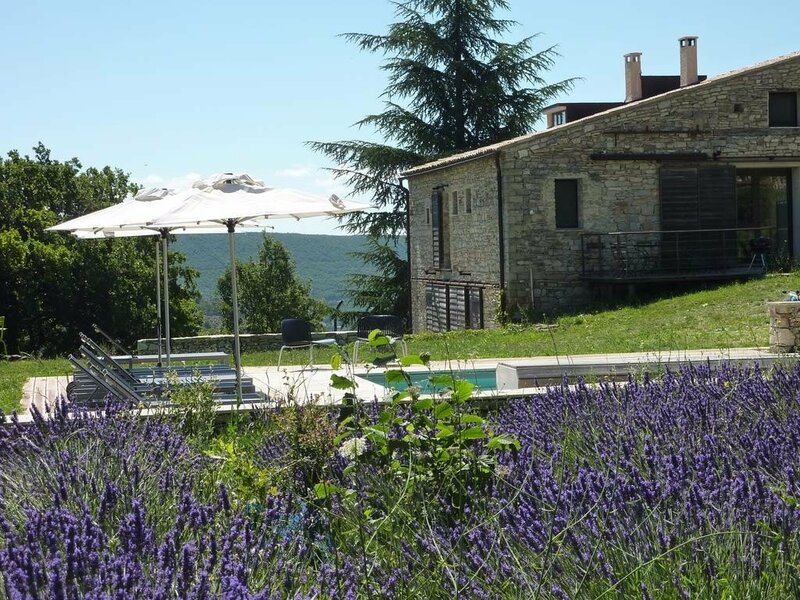 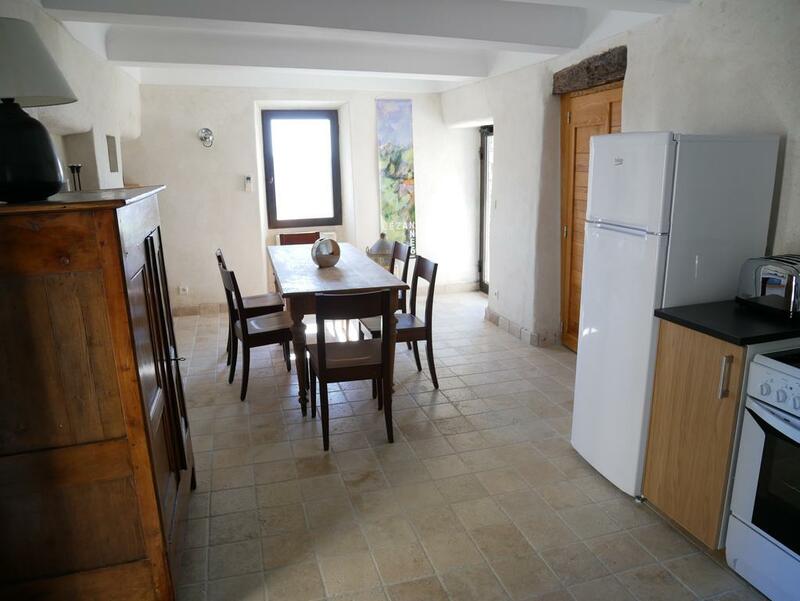 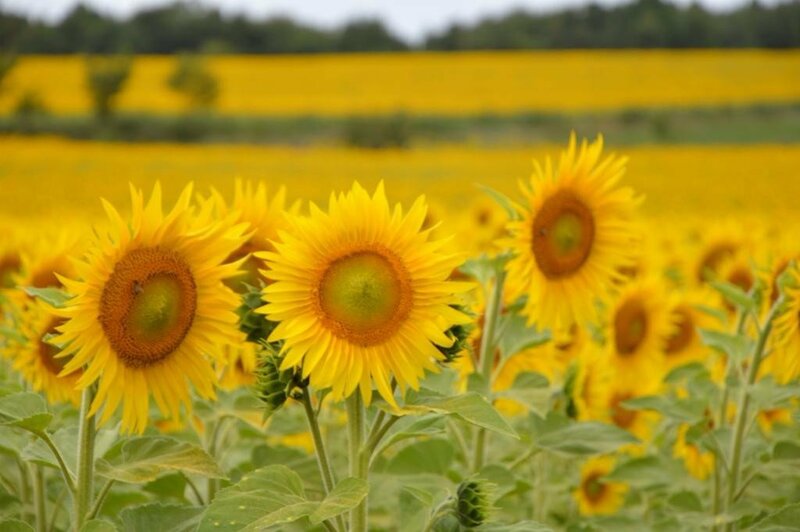 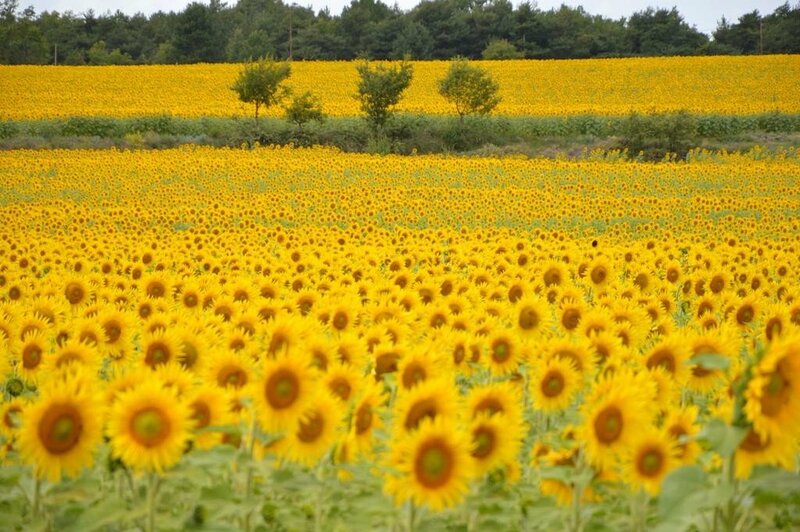 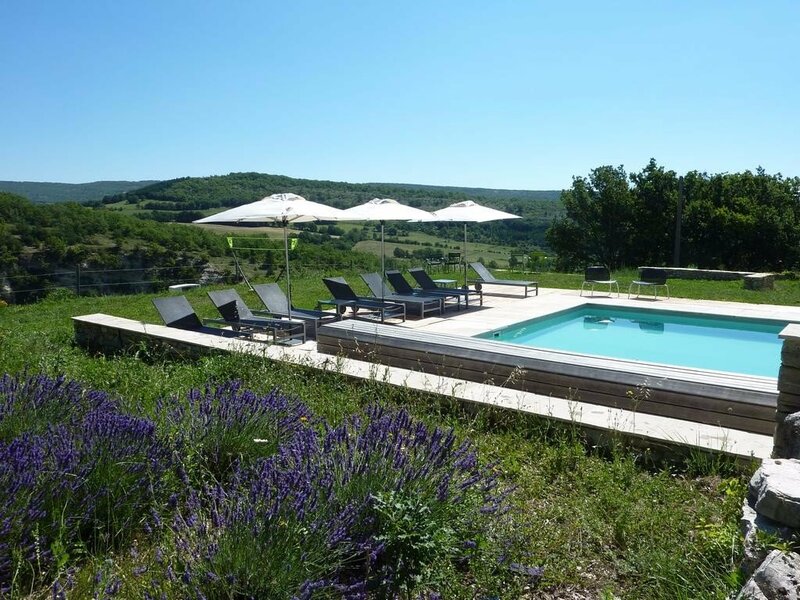 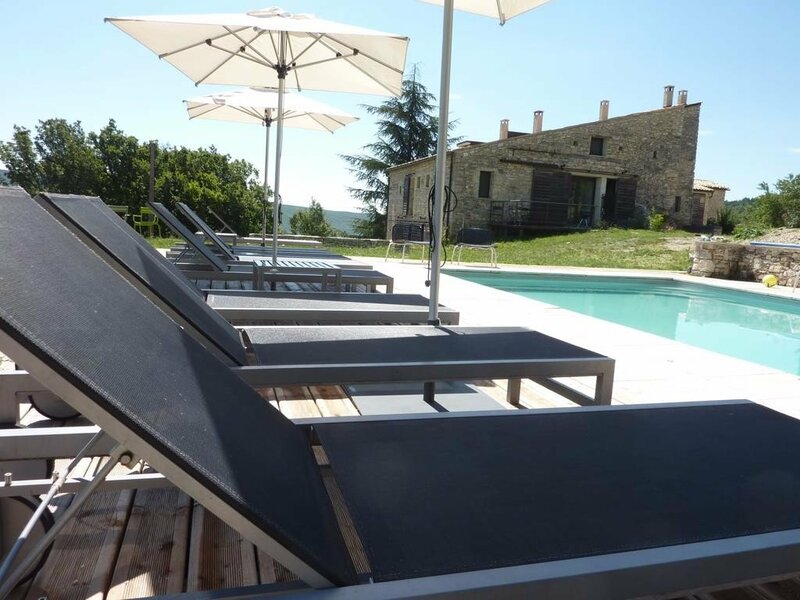 It has self catering apartments in a lovingly restored old farmhouse surrounded by fields of lavender and sunflower and is the kind of place you will really not want to leave. 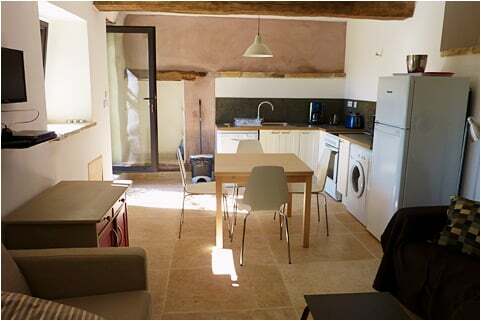 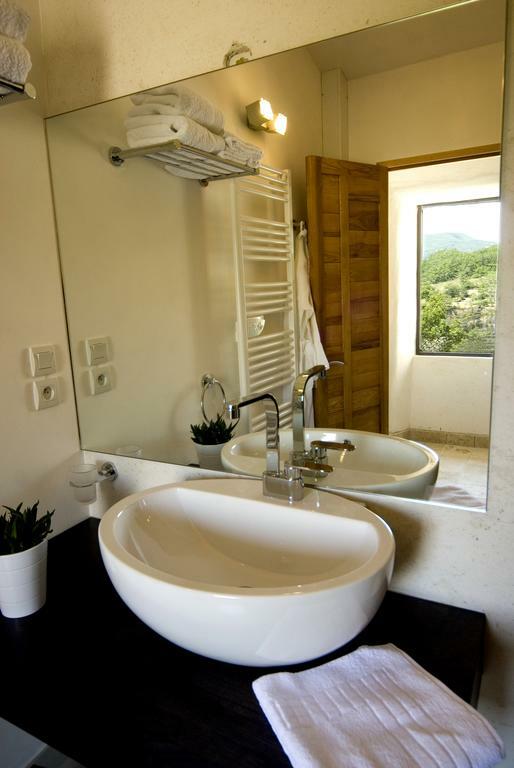 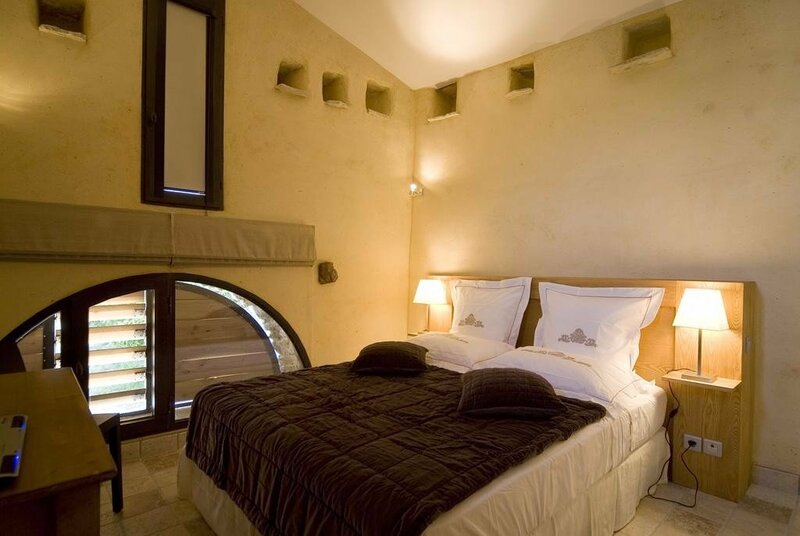 There are five self catering units in total, to sleep up to eight people each. 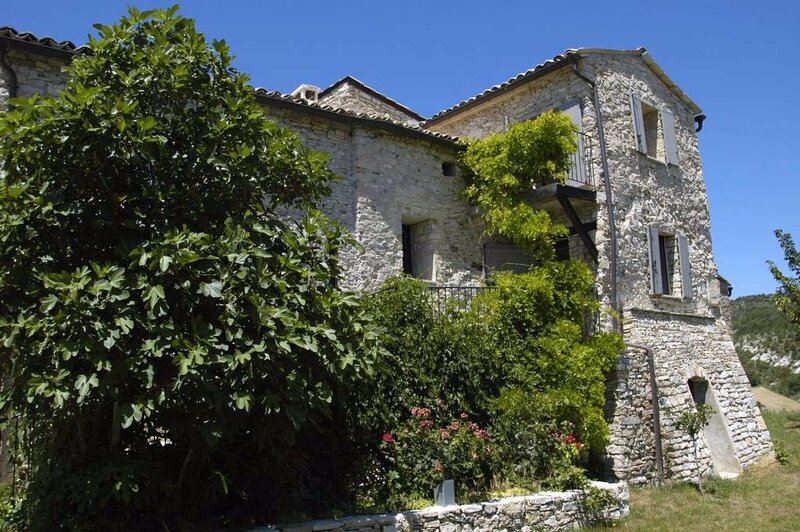 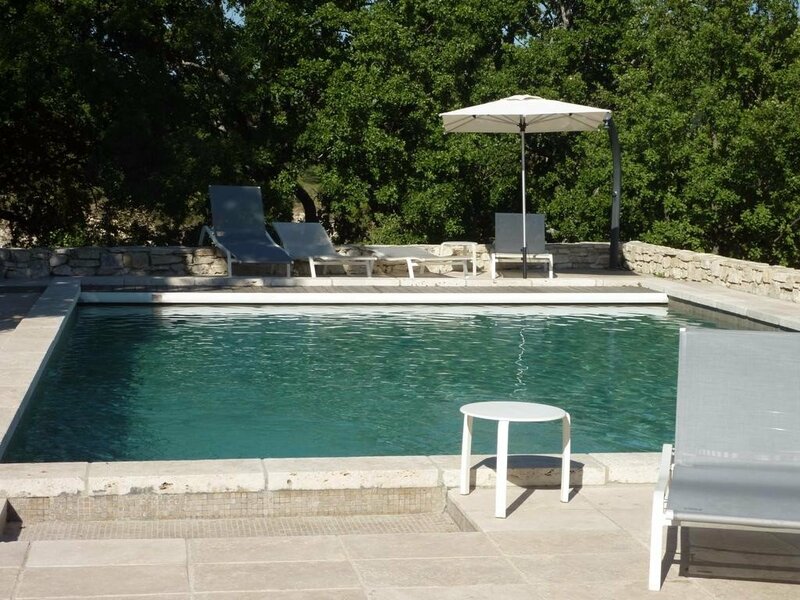 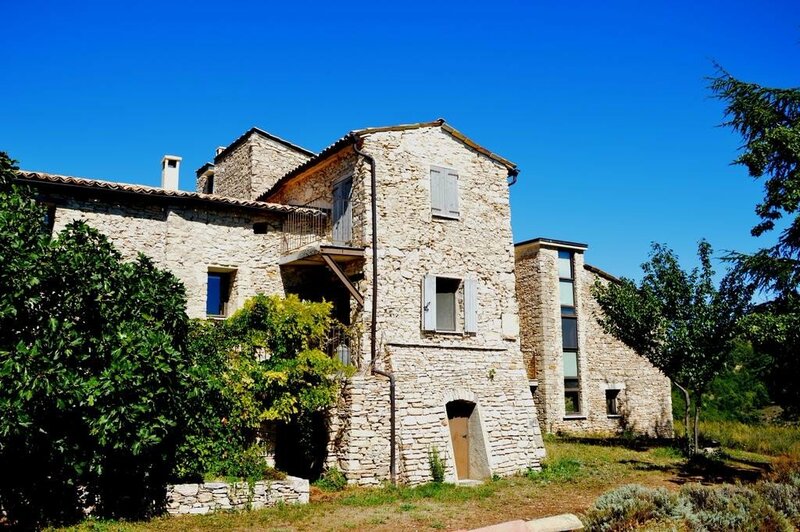 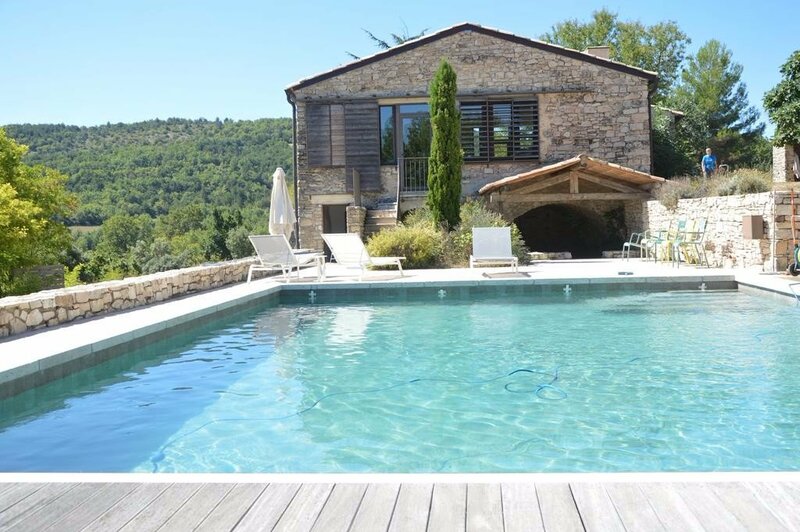 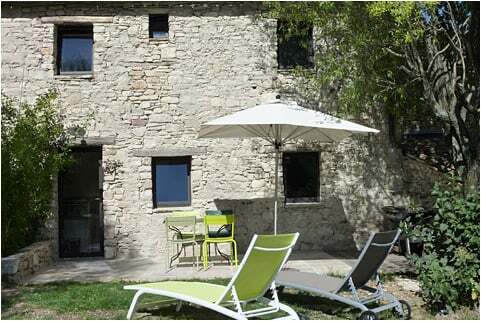 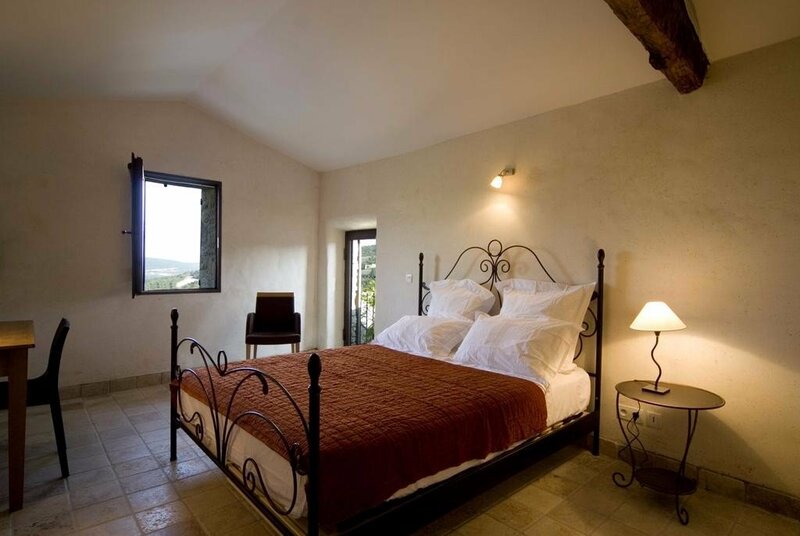 The property itself is gorgeous; it dates back to 1897 but has been beautifully restored in recent years, and its modern comforts and minimalist decor blend nicely with the traditional Provençal farmhouse feel. 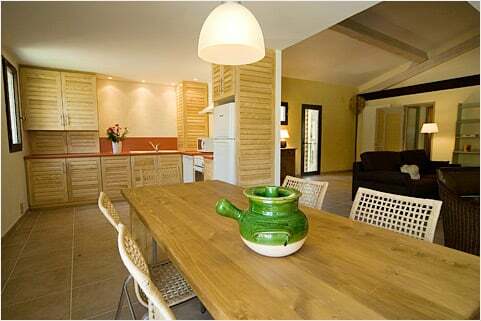 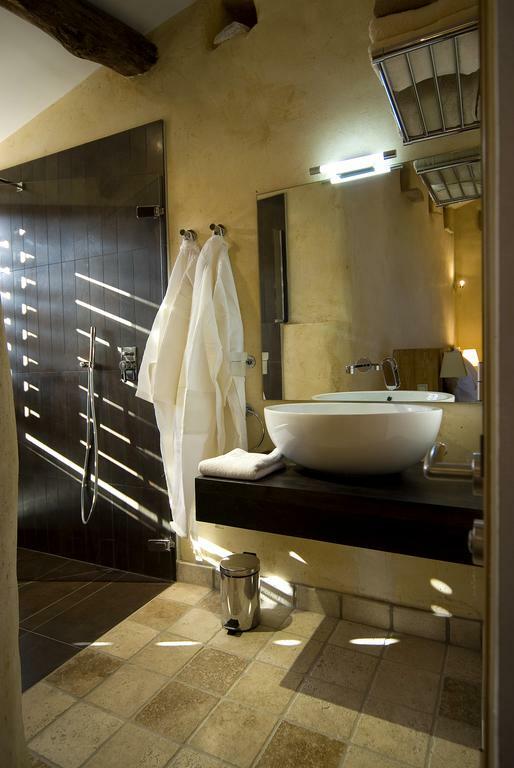 All the accommodation is spacious and super clean with good size lounges and practical kitchens. 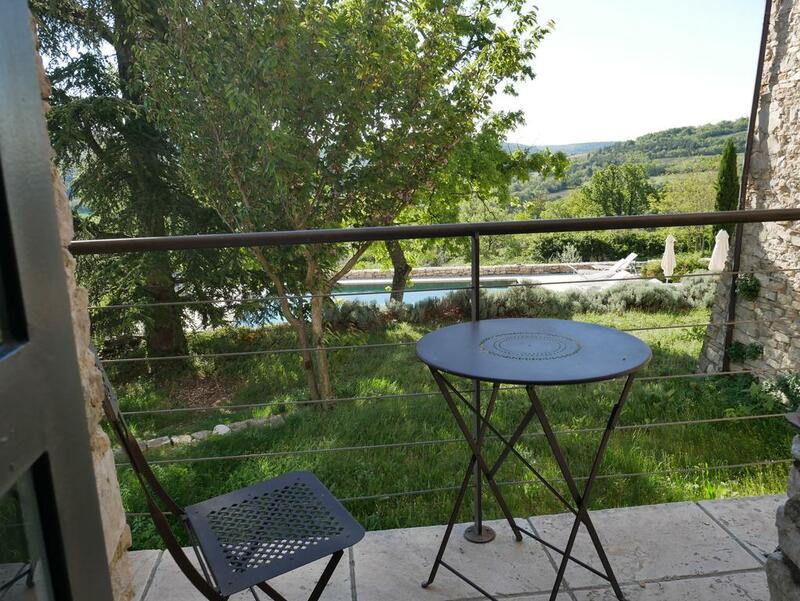 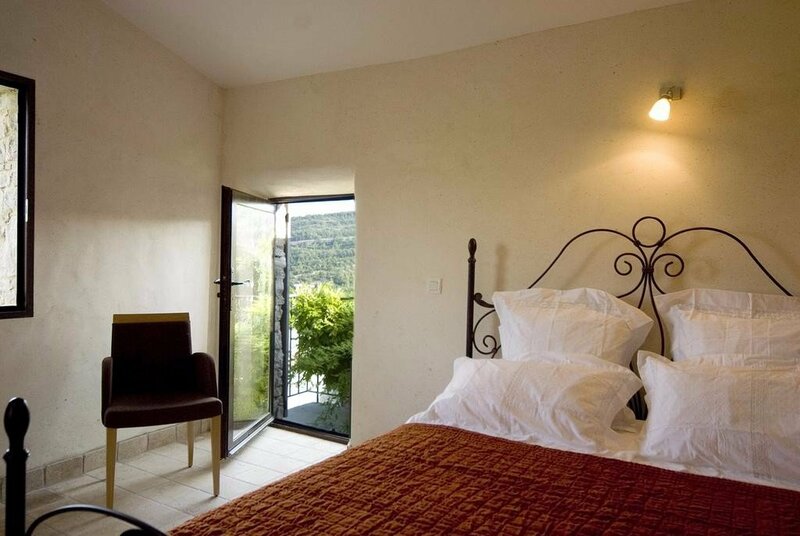 The outside space is a real highlight though, with lovely gardens overlooking the peaceful valley below. 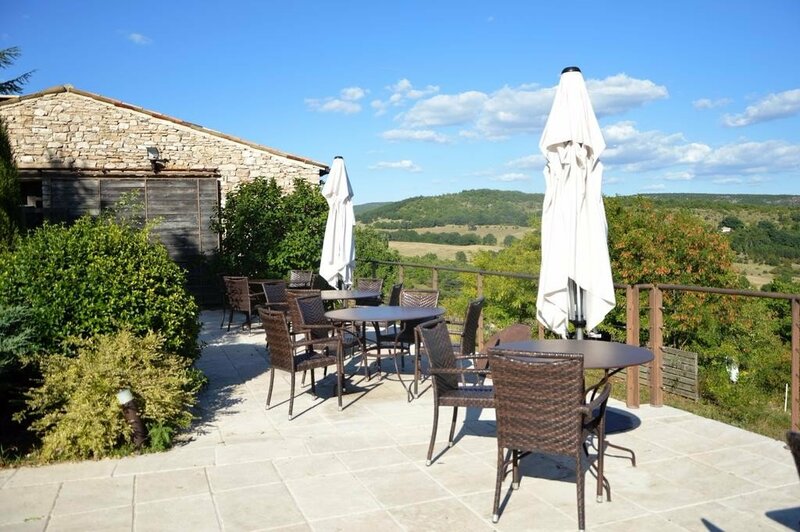 There is plenty of space to sit and dine outside as well as barbecue facilities, sun loungers and two swimming pools. 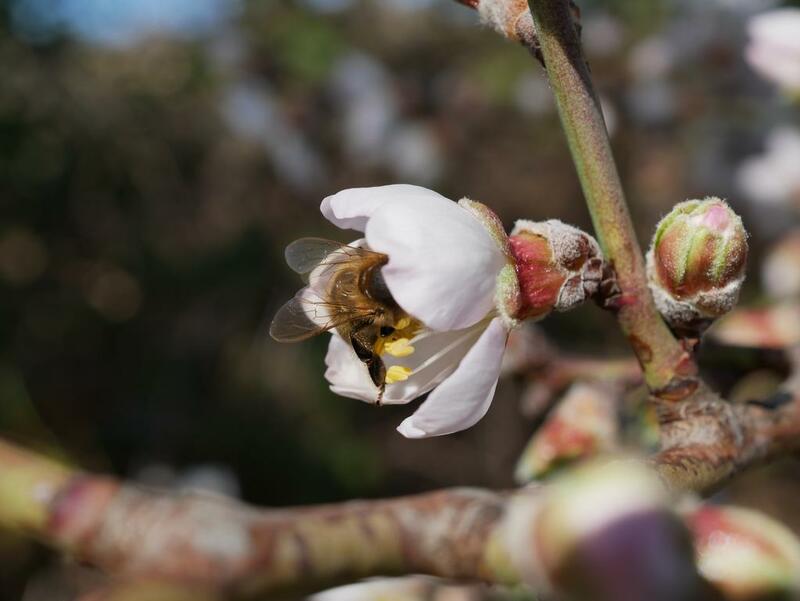 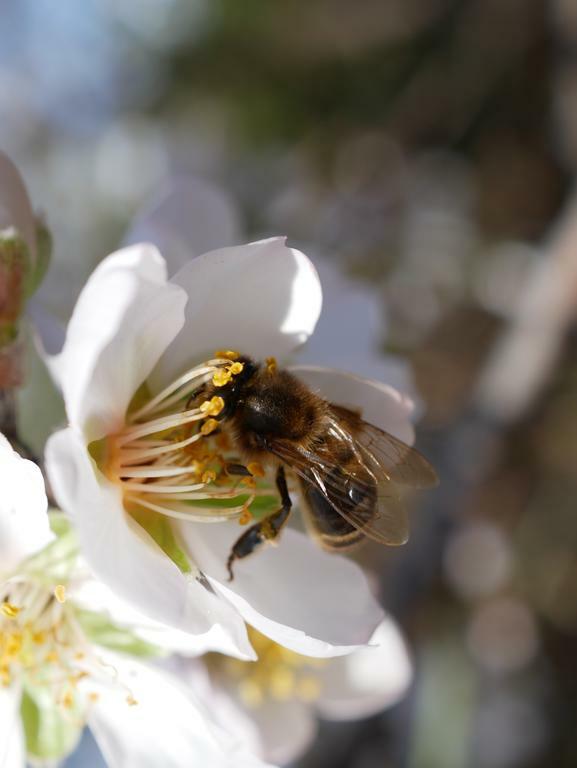 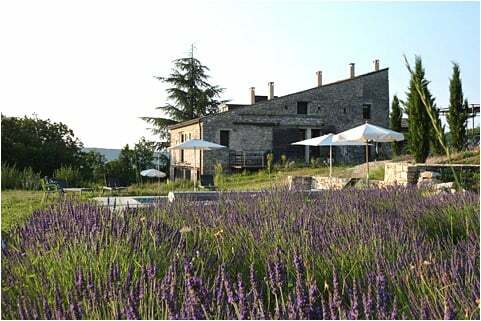 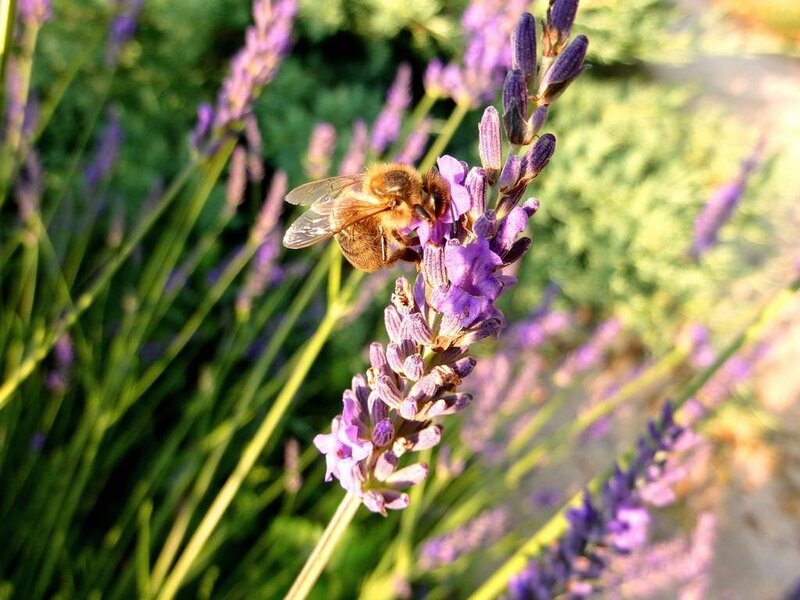 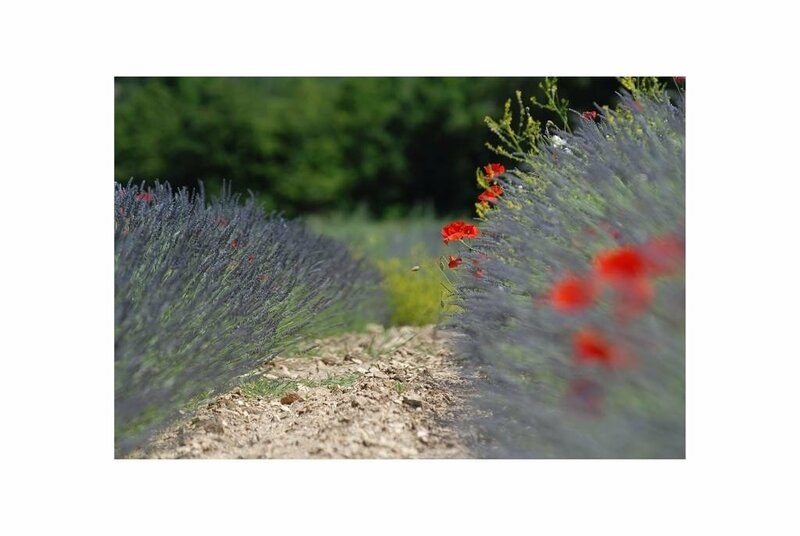 The place is surrounded the classic Provence lavender and sunflower fields and though the gîte itself doesn’t harvest its own lavender they keep bees and make a nice line of lavender honey. 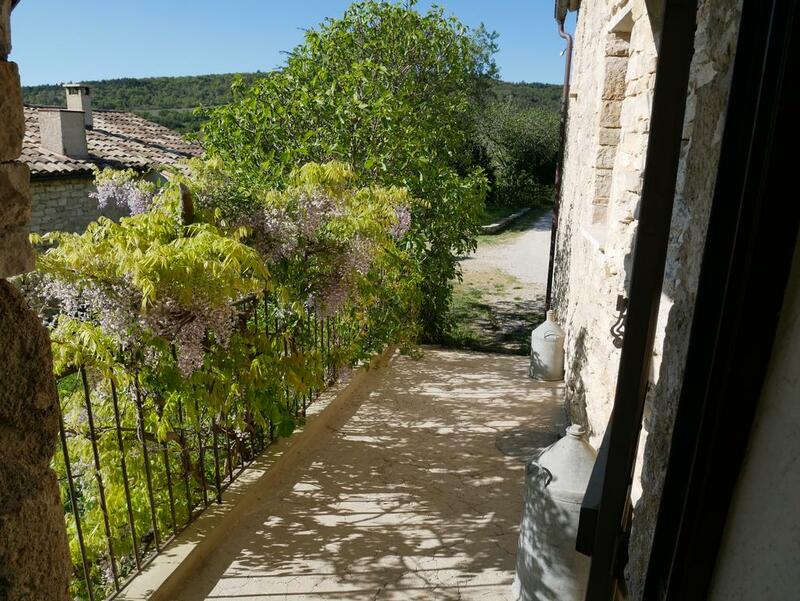 The accommodation is all self catering but the friendly owners are always around and for an extra fee they can prepare a very nice breakfast basket for you and some equally good evening meals too. 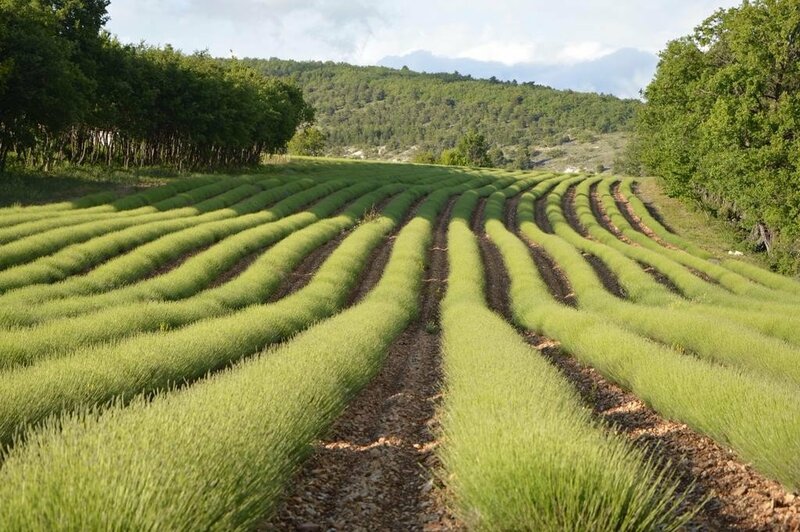 Though Provence is full of the promise of rural idyll many parts of it can be a little busy with tourists, especially over the summer. 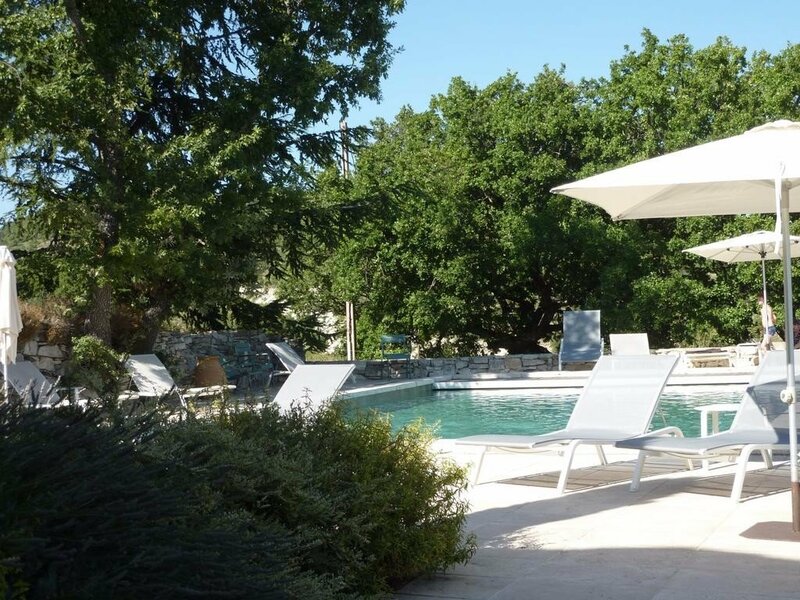 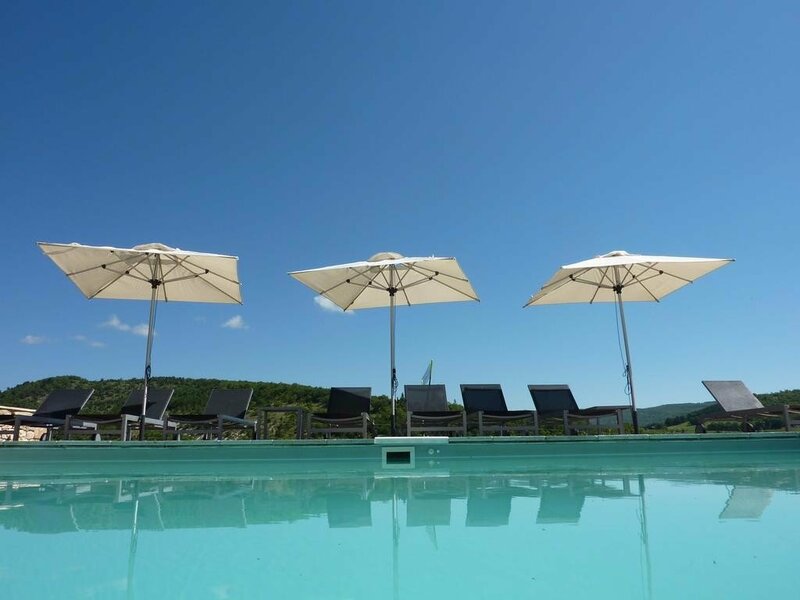 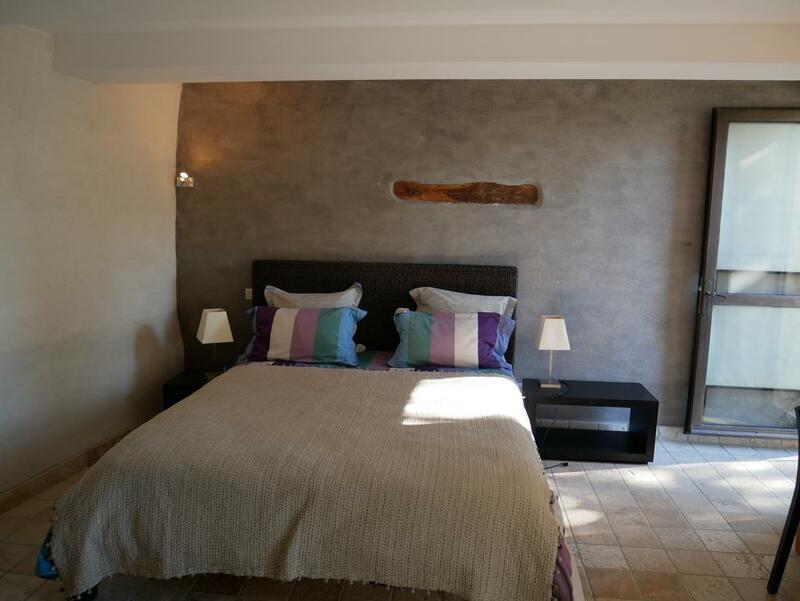 But not around here; Le Hameau de Pichovet is in a relatively undiscovered corner of Provence and is a really superb place to get away from it all. 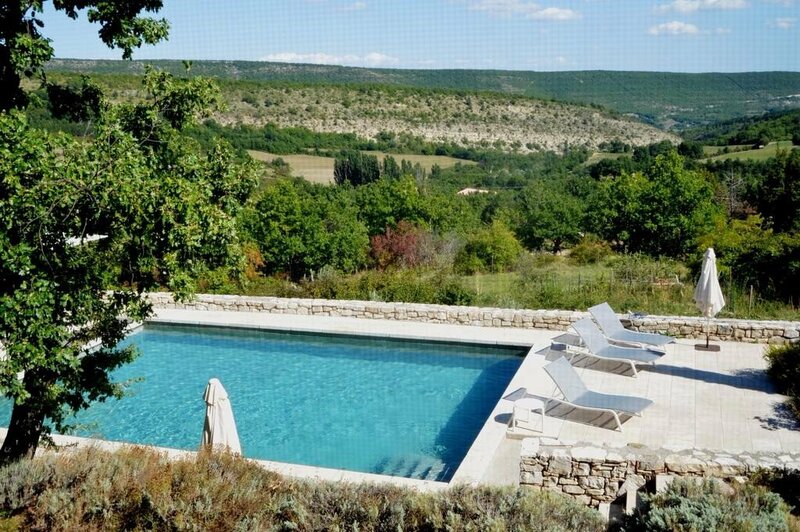 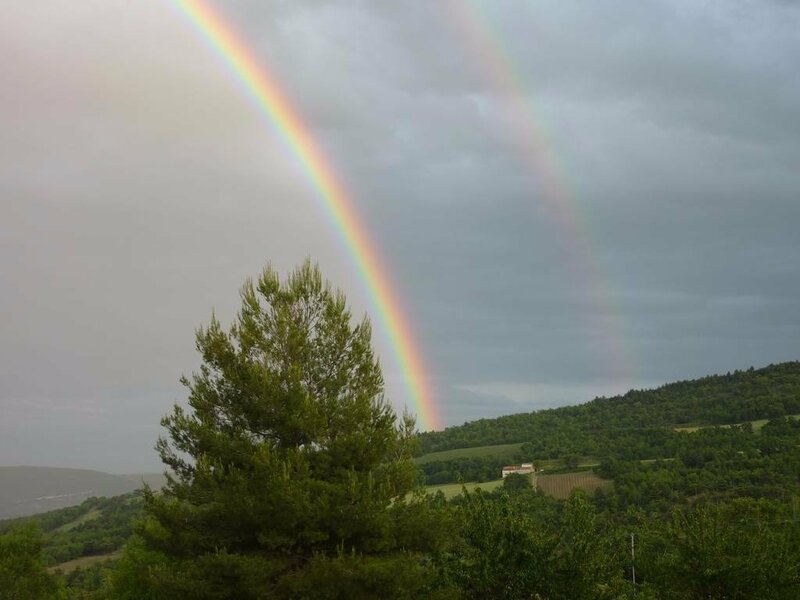 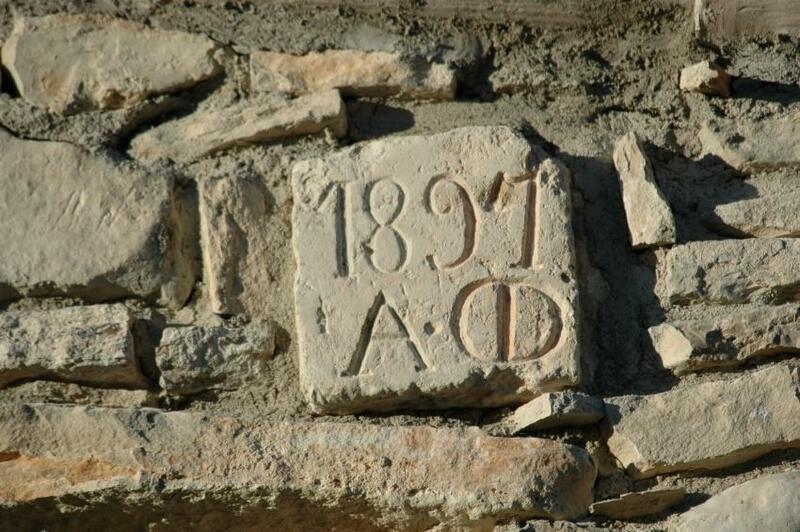 It is about 70km north of Aix-en-Provence, just east of the famous Luberon National Park and around 30km from the town of Apt. 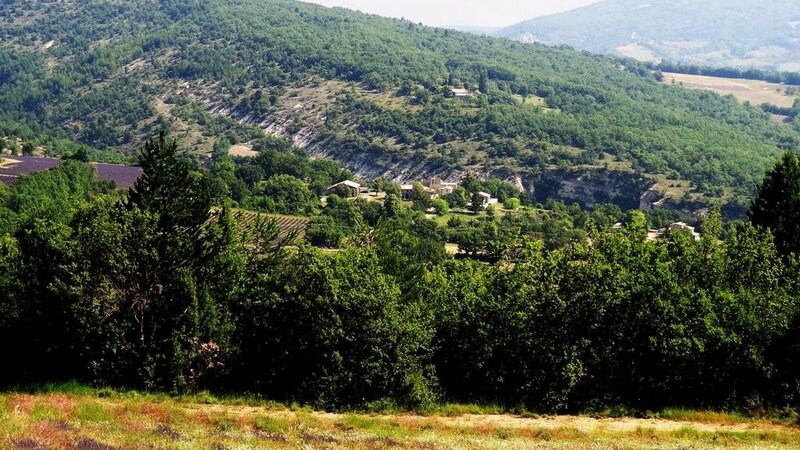 The nearest village is Vachères, 3km away, which is a cute sleepy little place that has a grocery store where you can stock up on necessities. 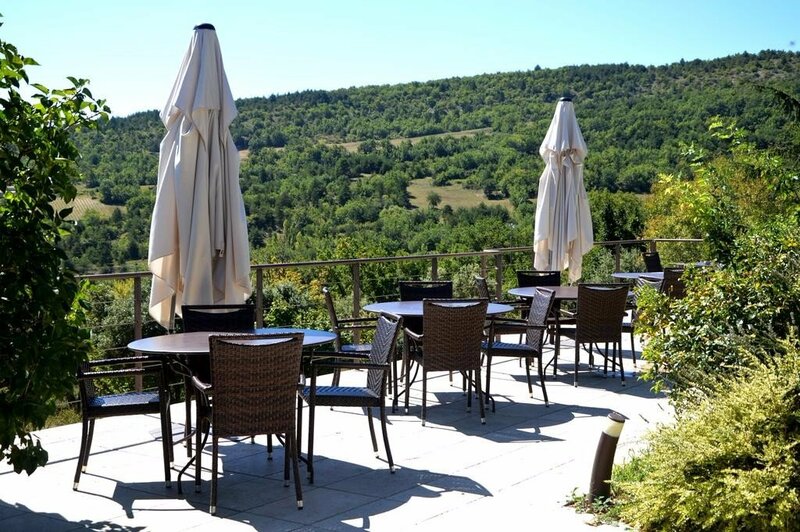 For more extensive shopping, dining and drinking you can head to the larger town of Celeste about twenty minutes drive away. 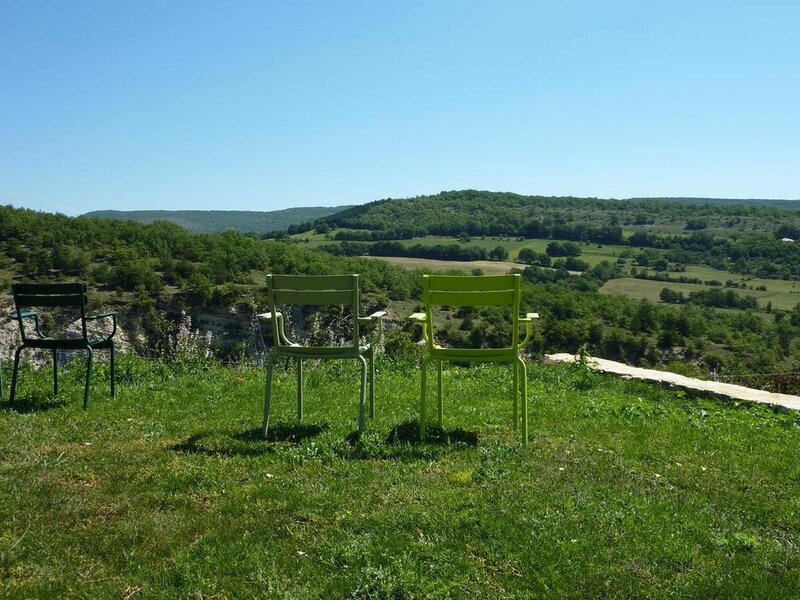 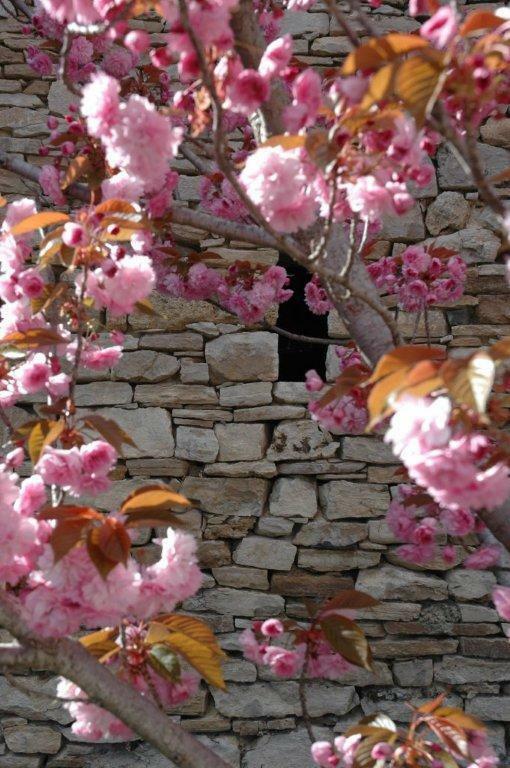 All around the gîte the countryside is serene and very beautiful and you’ll find plenty of walks and trails for both hiking and cycling.